The Rayco origin is similar to the story of many great American brands. One man, a garage, big cajones and a better idea. 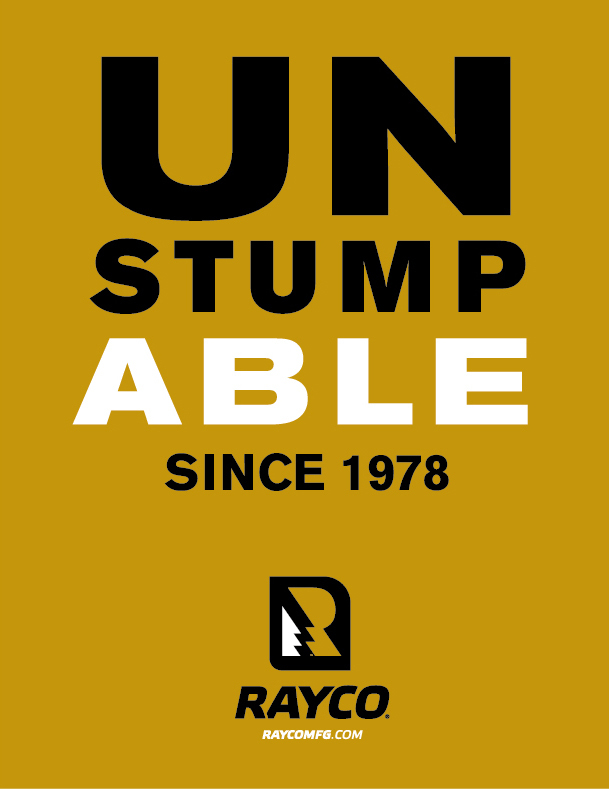 Rayco has been a leader in manufacturing high-end, innovative forestry machines since 1978. In 2013 they asked Hoofcase to help build them a brand identity that communicated those strengths to their consumers. The new Identity and Brand Strategy are built around Rayco's reputation for designing, engineering and manufacturing the best forestry equipment in the business. We reworked the wordmark and color palate and created an icon and product labels that work in concert with the machine design. The new vision statement "To provide fortitude in the forest" is carried through, visually, in all forms of communications from business cards to company trucks to the redesigned website.